Epidemiologic and experimental evidence support that exposure to moderate-to-high arsenic (As) is a cardiovascular disease (CVD) risk factor. Little is known, however, on the cardiovascular effects of low water As exposure (< 10 μg/L) through diet, particularly rice. The goal is to summarize the evidence on As and CVD and the research needs at low levels of exposure. Studies of populations in Taiwan, Chile, and Bangladesh have consistently shown that high water As (> 100 μg/L) constitutes a CVD risk factor. In experimental studies, chronic inorganic As in drinking water increased atherosclerotic lesions in mice. 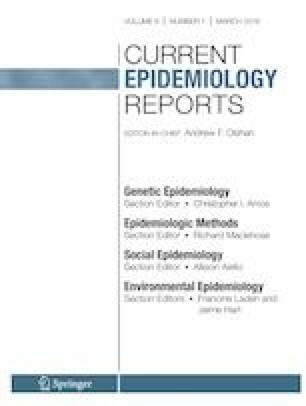 Cohort studies at low-to-moderate levels of exposure (< 100 μg/L) based on biomarkers or individual water As measures in American Indian from rural communities and in Whites and Hispanics from Colorado found higher risk of CVD incidence and mortality, particularly coronary heart disease (CHD) among those with higher arsenic exposure. A major limitation of existent dose-response meta-analyses is the limited number of studies in populations exposed to water As at levels < 10 μg/L. Measuring metals, in particular arsenic, in general populations with comprehensive assessment of clinical cardiovascular disease can inform on the cardiovascular role of low-level arsenic and contribute to CVD prevention and control in general populations. The authors thank Anne E. Nigra for her support with this manuscript, in particular Figure 1 and the section on Sources of Arsenic Exposure in General Populations. This work was supported in part by grants from the National Institutes of Health (R01ES028758, R01ES025216, P42ES010349, P30ES009089). Koren Mann reports grants from Canadian Institute of Health Research, during the conduct of the study. Ana Navas-Acien, Tiffany R. Sanchez, and Miranda R. Jones each declare no potential conflicts of interest. Chen CJ, Chiou HY, Chiang MH, Lin LJ, Tai TY. Dose-response relationship between ischemic heart disease mortality and long-term arsenic exposure. Arterioscler Thromb Vasc Biol. 1996;16(4):504–10 http://www.ncbi.nlm.nih.gov/pubmed/8624771. Accessed 4/11/2019. EPA 816-R-13-003. Fiscal year 2011 drinking water and ground water statistics. http://water.epa.gov/scitech/datait/databases/drink/sdwisfed/howtoaccessdata.cfm. Published 2013. Accessed 4/11/2019. Wilson D, Hooper C, Shi X. Arsenic and lead in juice: apple, citrus, and apple-base. J Environ Health. 2012;75(5):14–20 quiz 44. http://www.ncbi.nlm.nih.gov/pubmed/23270108. Accessed 4/11/2019. Franklin M, Koutrakis P, Schwartz P. The role of particle composition on the association between PM2.5 and mortality. Epidemiology. 2008;19(5):680–9 http://www.ncbi.nlm.nih.gov/pubmed/18714438. Accessed 4/11/2019. Chiou HY, Huang WI, Su CL, Chang SF, Hsu YH, Chen CJ. Dose-response relationship between prevalence of cerebrovascular disease and ingested inorganic arsenic. Stroke. 1997;28(9):1717–23 http://www.ncbi.nlm.nih.gov/pubmed/9303014. Accessed 4/11/2019. Tseng C-H, Chong C-K, Tseng C-P, Hsueh YM, Chiou HY, Tseng CC, et al. Long-term arsenic exposure and ischemic heart disease in arseniasis-hyperendemic villages in Taiwan. Toxicol Lett. 2003;137(1–2):15–21 http://www.ncbi.nlm.nih.gov/pubmed/12505429. Accessed 4/11/2019. Hertz-Picciotto I, Arrighi HM, Hu SW. Does arsenic exposure increase the risk for circulatory disease? Am J Epidemiol. 2000;151(2):174–81 http://www.ncbi.nlm.nih.gov/pubmed/10645820. Accessed 4/11/2019. •• Makhani K, Chiavatti C, Plourde D, et al. Using the apolipoprotein E knock-out mouse model to define atherosclerotic plaque changes induced by low dose arsenic. Toxicol Sci. 2018;166(1):213–8. https://doi.org/10.1093/toxsci/kfy201 Animal experiment showing that low-level arsenic exposure can induce atherosclerotic plaque and that there is a monotonic dose-response. Wang C-H, Jeng J-S, Yip P-K, Chen CL, Hsu LI, Hsueh YM, et al. Biological gradient between long-term arsenic exposure and carotid atherosclerosis. Circulation. 2002;105(15):1804–9 http://www.ncbi.nlm.nih.gov/pubmed/11956123. Accessed 4/11/2019. Barchowsky A, Dudek EJ, Treadwell MD, Wetterhahn KE. Arsenic induces oxidant stress and NF-kappa B activation in cultured aortic endothelial cells. Free Radic Biol Med. 1996;21(6):783–90 http://www.ncbi.nlm.nih.gov/pubmed/8902524. Accessed 4/11/2019. Barchowsky A, Klei LR, Dudek EJ, Swartz HM, James PE. Stimulation of reactive oxygen, but not reactive nitrogen species, in vascular endothelial cells exposed to low levels of arsenite. Free Radic Biol Med. 1999;27(11–12):1405–12 http://www.ncbi.nlm.nih.gov/pubmed/10641735. Accessed 4/11/2019. Soucy NV, Mayka D, Klei LR, Nemec AA, Bauer JA, Barchowsky A. Neovascularization and angiogenic gene expression following chronic arsenic exposure in mice. Cardiovasc Toxicol. 2005;5(1):29–41 http://www.ncbi.nlm.nih.gov/pubmed/15738583. Accessed 4/11/2019. Ohnishi K, Yoshida H, Shigeno K, Nakamura S, Fujisawa S, Naito K, et al. Prolongation of the QT interval and ventricular tachycardia in patients treated with arsenic trioxide for acute promyelocytic leukemia. Ann Intern Med. 2000;133(11):881–5 http://www.ncbi.nlm.nih.gov/pubmed/11103058. Accessed 4/11/2019. Ahsan H, Perrin M, Rahman A, et al. Associations between drinking water and urinary arsenic levels and skin lesions in Bangladesh. J Occup Environ Med. 2000;42(12):1195–201 http://www.ncbi.nlm.nih.gov/pubmed/11125683. Accessed 4/11/2019. Francesconi KA, Tanggaar R, McKenzie CJ, Goessler W. Arsenic metabolites in human urine after ingestion of an arsenosugar. Clin Chem. 2002;48(1):92–101 http://www.ncbi.nlm.nih.gov/pubmed/11751543. Accessed 4/11/2019. Le XC, Cullen WR, Reimer KJ. Human urinary arsenic excretion after one-time ingestion of seaweed, crab, and shrimp. Clin Chem. 1994;40(4):617–24 http://www.ncbi.nlm.nih.gov/pubmed/8149620. Accessed 4/11/2019. Hu FB, Stampfer MJ, Rimm E, Ascherio A, Rosner BA, Spiegelman D, et al. Dietary fat and coronary heart disease: a comparison of approaches for adjusting for total energy intake and modeling repeated dietary measurements. Am J Epidemiol. 1999;149(6):531–40 http://www.ncbi.nlm.nih.gov/pubmed/10084242. Accessed 4/11/2019. Willett W, Stampfer MJ. Total energy intake: implications for epidemiologic analyses. Am J Epidemiol. 1986;124(1):17–27 http://www.ncbi.nlm.nih.gov/pubmed/3521261. Accessed 4/11/2019. Vahter M, Concha G. Role of metabolism in arsenic toxicity. Pharmacol Toxicol. 2001;89(1):1–5 http://www.ncbi.nlm.nih.gov/pubmed/11484904. Accessed 4/11/2019. Vahter M. Mechanisms of arsenic biotransformation. Toxicology. 2002;181-182:211–7 http://www.ncbi.nlm.nih.gov/pubmed/12505313. Accessed 4/11/2019. Mason JB. Biomarkers of nutrient exposure and status in one-carbon (methyl) metabolism. J Nutr 2003;133 Suppl(3):941S–947S. doi: https://doi.org/10.1093/jn/133.3.941S. Hsueh Y-M, Ko Y-F, Huang Y-K, Chen HW, Chiou HY, Huang YL, et al. Determinants of inorganic arsenic methylation capability among residents of the Lanyang Basin, Taiwan: arsenic and selenium exposure and alcohol consumption. Toxicol Lett. 2003;137(1–2):49–63 http://www.ncbi.nlm.nih.gov/pubmed/12505432. Accessed 4/11/2019. Water quality data. www.waterqualitydata.us/portal/. Accessed April 2 2017.